I remember watching The Great Pumpkin Charlie Brown since being a kid, and as I’ve grown up, watching The Great Pumpkin became a nostalgic comfort. It meant Halloween is officially here. As an adult, I watched The Great Pumpkin and I saw something different. A metaphor for faith and belief. Yes, I know, being an adult is overrated sometimes. I wondered if I was on the right track so I did a little research regarding this subject and by little, I mean miniscule. I looked on Wikipedia. Linus believed that The Great Pumpkin existed and he waited all night for the great pumpkin to rear its head, but the great pumpkin never came. 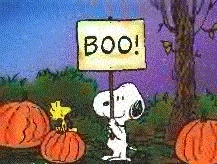 Linus believed wholeheartedly in his Great Pumpkin and with faith waited to no avail yet missing out on the festivities with his friends. 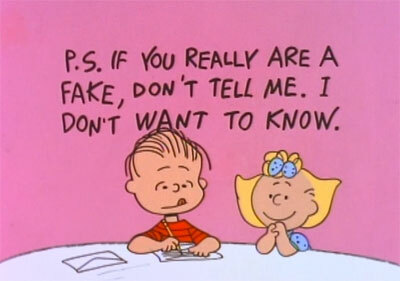 Charles Schulz was genius! 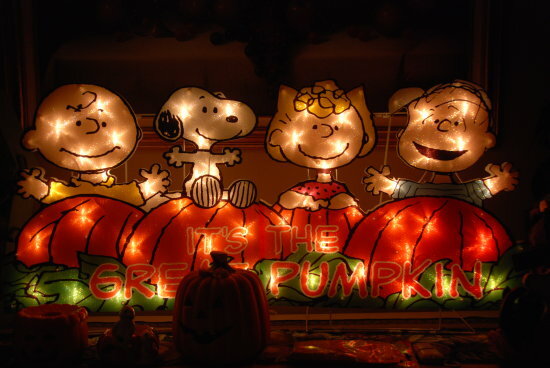 The Great Pumpkin is also a metaphor for believing in something greater than ourselves, some call it God, The Universe, Allah, Yahweh, Supreme Being, Father Sky, Mother Earth, Nature and many other names. Some people identify their faith with their religion. For instance, individuals identify as Christian to describe their faith. But, identifying with a religion is also identifying with a set of beliefs that the particular religion holds. Faith, to me, is not a religion but a practice in letting go and surrender of control. Just because a person may identify with a certain religion doesn’t automatically create faith in their heart. Faith is more like a muscle that needs to be exercised. Faith is intangible: you can’t touch it, you can’t contain it, you can’t even really identify it. Faith is an exercise in trust, not trust from a mental perspective but trust from a whole person heart experience. It’s easy for me to say, ‘I have faith’ when things are going well and the way I want them to in my life. But, I exercise Faith when things aren’t going well or the way I want them to. Faith is a deep, heartfelt, whole-body trust and intrinsic knowing that everything works out for the best no matter what the outcome or the external circumstances look like. Do I exercise my faith (trusting that it all works out) when I lose something dear to me, go through a major life transition or simply make a change for the betterment of me? Do I or you have that deep faith? Or, do you, as I do often times, try to control the situation or the outcome? In trying to control, do you stop the flow or change in your life that may serve you better or do you stick to your beliefs, and hold on to something that is no longer of service to you? Belief on the other hand, is identifiable and tangible because we can put a clear description to it. Belief is mental. If your belief is tied to your religion then you can provide clear descriptions of the belief’s and practice’s of your religion. We have many beliefs, beliefs that we carry from our family of origin, beliefs about ourselves that we pick up from others such as teachers, extended family members, friends, and society. You may have adopted belief’s about money, relationships, work, body image, gender, worthiness. For instance, you may have a belief that the more money you have or make equates to your success or your personal value/worthiness, or you may have a belief that you ‘can’t rely on anyone else, because they all leave,’ or you may have a belief that you are not good enough, unloveable, or unworthy. All of these beliefs most likely are or have been impacting you, your relationships, work, and money. How would you describe faith? What belief’s take faith in your life today? Are your belief’s exclusionary or inclusive of others? Have you missed out on an experience you wanted, or meeting people because of a strongly held belief? What beliefs do you think or feel you’ve held that are no longer helpful to you? What beliefs are you willing to let go of? And you thought The Great Pumpkin was just a cartoon.